The Droll Yankees Fruit Feeder features a simplistic design that efficiently serves your fruit eating birds. The metal feeder ring is powder-coated orange to attract orioles. Offer orange, apple, or other fruit halves on the two feeding prongs and watch your feathered friends come to feed. Simply place this feeder in the dishpan or dishwasher to clean. 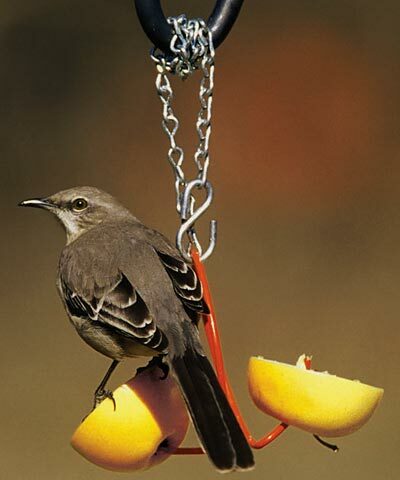 Hang this feeder in a conspicuous place with the included 18" rust-resistant steel chain.